Notes: CMP. 105 Pro Coy. 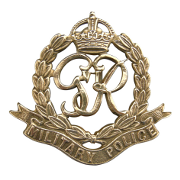 Formerly Royal Sussex Regiment. 1/2/41 Transferred to CMP. 6/9/44 Killed in Action. He was born and resided in London E. War Diary 105 Pro Coy WO 170/3548. 7/9/44 Report received from lt Blanchard that No. 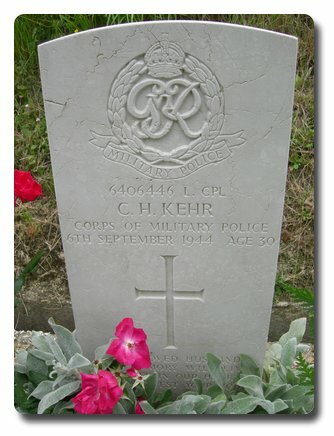 6406446 L/Cpl Kehr C H of section attached to 21 Tank Brigade was killed in action at 17.00hrs by enemy shell fire. Inscription on gravestone: My beloved husband, your memory will live forever in our hearts, may God rest your soul. Charles Henry Kehr.